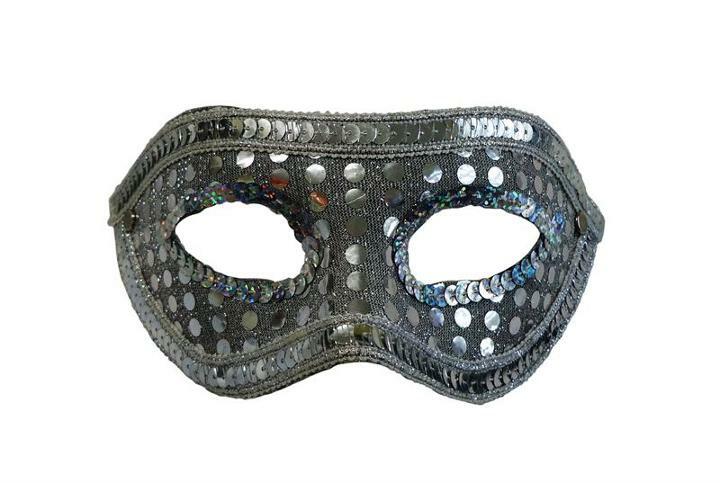 Fun Sequin masks available in 5 metallic colors are high quality half masks with sparkling sequins that catch the light. Made of heavy duty plastic these domino masks have soft satin ties which can be adjusted for a comfortable custom fit. Checkout our extensive selection of party masks for different styles and designs like Butterfly glitter masks, half face masks, dual color Venetian masks and more. 9 in. x 3 in. L: 9.0 in. W: 3.0 in. H: 2.0 in.